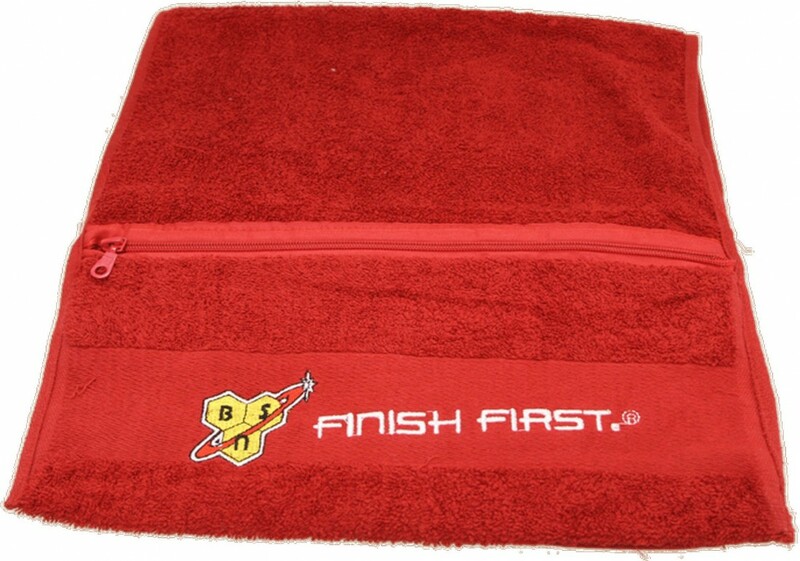 BSN Workout Towel with pocket — Ideal size for use in the gym or any other physical activity. 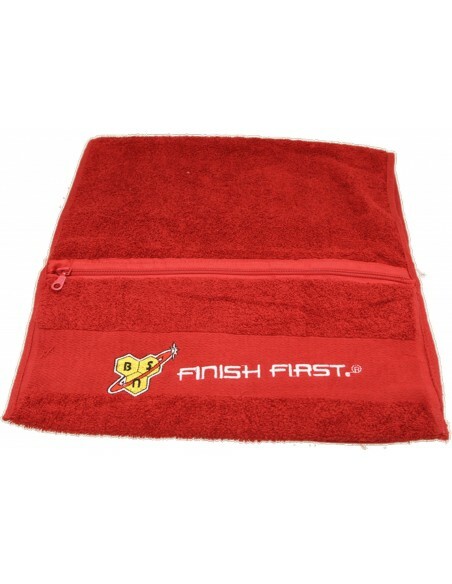 Proudly displays the BSN logo along with the tagline "Finish First." With useful zip pocket. BSN Towels features logo are absorbent and soft. For in the gym, on the field or on the go.